Rapid Performance delivers high performance aftermarket motorcycle parts and engine services to the Powersport and Harley Davidson communities in the heart of Queens, New York. We specialize in all types of motorcycles and are a licensed service and retail center. New York State Inspections are done on the premises. Rapid Performance specializes in high performance, engine tune-ups and rebuilds, transmissions, clutches, oil changes, battery sales, tire installation and sales, electrical work, balancing, powder coating, chrome wheels, and parts and accessories. 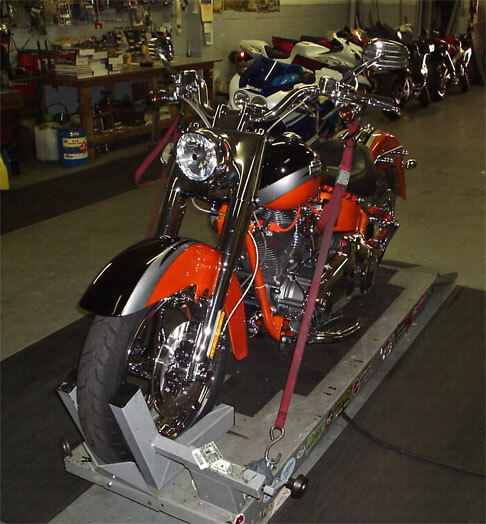 We are a full service repair shop and will work with you on an individual basis to meet your motorcycle needs. Copyright © Rapid Performance. All rights reserved. Layout design by Anne Frost Morse. Site development by Kim Flournoy.